Rudder directives management can be quite complex when dealing with heterogeneous nodes, needing different configurations. In order to limit the multiplication of directives we could use variables or node properties to pass different parameters and try to factorize some code. The 4.3 release comes with a new feature to expand the node inventory with arbitrary data, which will also define new nodes properties to help dealing with configuration management. We can now add arbitrary data to the node inventory making it more easily maintainable and reusable. Note that this is designed to add information to the inventory, which goal is to describe almost immutable parameters (or at least evolving slowly). Those special node properties will be permanent on the node configuration but could always be overridden by a new inventory. This way, if the inventory hooks were missing in a policy generation, already defined properties will not be affected. The cost of it is that you will not be able to remove a node property defined by inventory extension, but you will still be able to change its value. 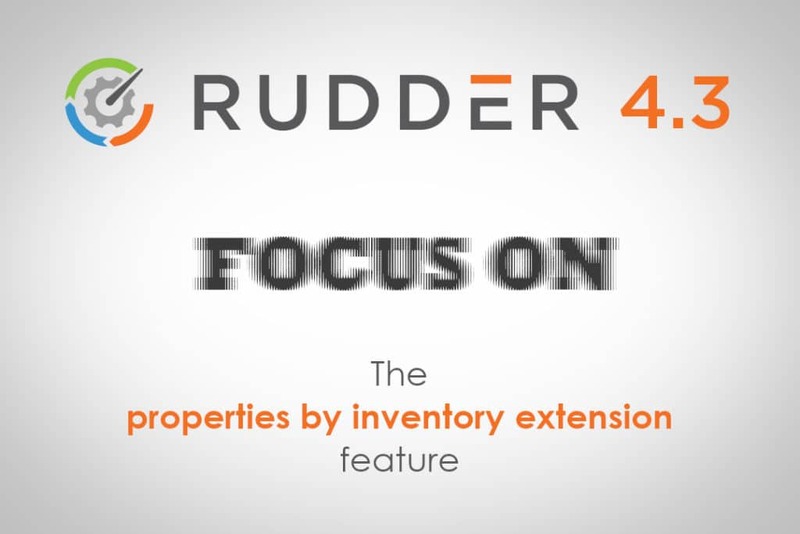 Keep in mind that whenever you are adding properties by extending the inventory you are adding new fields to the rudder inventory and not just passing arguments to a configuration. On the server the next rudder execution will parse the received inventory and make it usable. Node properties can be used as criteria for Rudder Group creation, managing node properties to defined groups may now be more automatised with dynamic Rudder groups and defining some dedicated hooks. For instance, if we want to define a Rudder group to describe all ours nodes located in Paris we will distribute hook files containing our “location” key in a node property to the given node and create the appropriate group matching rule. Note that in this case, lines using the “directives” syntax will be interpreted on the server side, at policy generation and those using the “mustache” syntax will be interpreted at agent execution on the node side.